Colds and nasal congestion are a few of the symptoms of an annoying illness for the Little One, let alone before bedtime or nursing. These symptoms generally appear when the respiratory tract is disturbed, for example when caused by allergies, colds, or sore throat. Not infrequently, when the Little One’s nose is blocked, the Little One becomes fussy because he/she feels difficult to suckle. This is because he/she breathes through his/her mouth, making his/her mouth is often opened. Generally, a clogged nose disorder will disappear within a few weeks. However, when his/her nose is blocked, the Little One is still unable to get rid of his/her own mucus / snot. Therefore, Mommy must help him/her to clean the clogged nose. Buy a nasal spray containing saline solution specially formulated at the pharmacy. 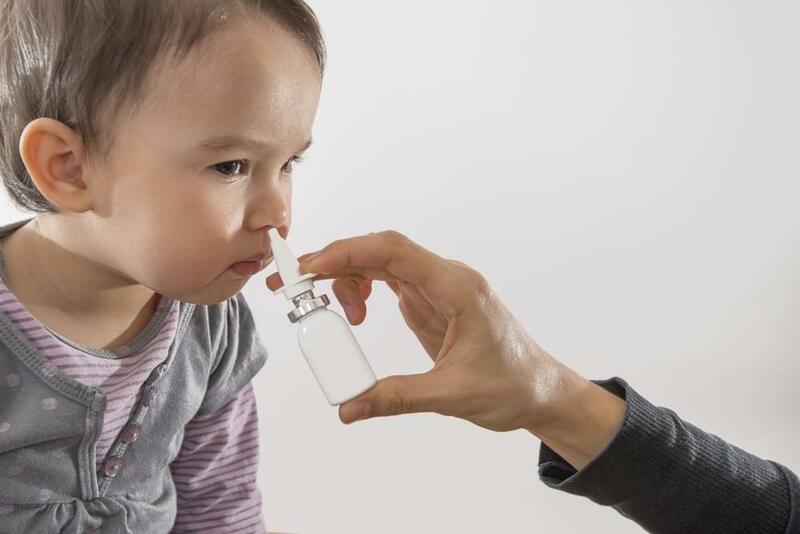 Hold the Little One in an upright position then give 2 or 3 drops of the medicine to each nostril. Lay the Little One for a minute with the head lower than the body. This position will make a thick solution of salt and mucus. If the mucus is diluted, Mommy can clean or pull the mucus using a nose aspirator. Avoid inserting the nasal aspirator too deeply. Do it 2 or 3 times into each nostril. Clean the tip of the nose spray after finished. Mommy can make this salt solution at home by mixing a quarter teaspoon of salt with 240 ml of warm water. Then, put it in the place that has been cleaned. Water vapor can open clogged breathing passages and help to dilute and drain mucus outwardly. One way to give warm steam to the Little One is by taking her to the bathroom, then open the hot water shower tap, then close the bathroom door for several minutes. Or, Mommy can prepare a medium-sized tub that has been filled with hot water. Use a towel to cover your Little One's head as he/she puts his/her face on the steam. Please do remember to continue to accompany the Little One during the process to keep the water from spilling and injuring him/her. Vaporizer or humidifier can be placed in the Little One’s room to increase the humidity in the room. This can help thin the mucus. Be sure to regularly clean the tool to prevent mold growth in it. This movement can help remove the phlegm that is in the chest so it will be easier for the Little One to cough it out. Sunbathing your Little One in the morning, under the sun, will make the mucus to be diluted. If any mucus dries up in the nose, you can help clean it with a warm water cloth and then gently clean it. 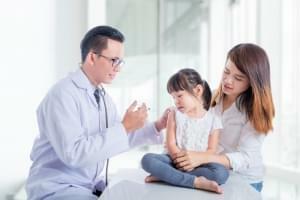 If the symptoms of nasal congestion continue for more than 2 weeks, accompanied by a fever, rashes occur in the body, a shortness of breath, or a too-fast-breathing, take the Little One to the doctor to get further treatment. Support the health of the Little One by giving him/her a nutritious food intake in accordance with his/her needs. 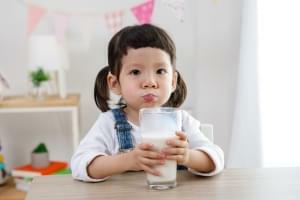 But for one reason or another, the pediatrician may recommend supplemental nutrition for the Little One. What do you need to pay attention to when choosing the right additional nutrition? Lately, is it difficult to ask your Little One to have some rest? It seems that almost every dad and mom must have experienced a time when their little ones were having difficulties in sleeping. There are a lot of benefits of a good sleep, that it shouldn’t be underestimated. It is included as the basic need of everyone alive, including your Little One. Do you know the important factor supporting the process of growth and development of your Little One in addition to nutrition and stimulation? The answer is immunization. This infectious disease prevention program is implemented by giving the vaccine so that an individual is immune to certain diseases.